Magazines were in perfect condition and arrived fast. The customer service was outstanding with updates about transaction. 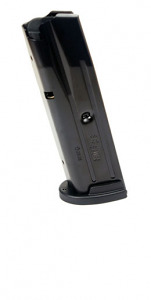 I purchased some SIG P320 10 rnd mags from Top Gun Supply. They arrived promptly and were as advertised. Genuine SIG! I have used Top Gun before and they are quick to ship, professional and always keep you "in the loop". Don't hesitate to do business with them!